It seems like every new game that comes out creates a new standard in the gaming industry with clearer images, complex worlds, faster speeds, and more action than their predecessors. What you may not think about, in your heightened excitement, is that these new improved games also have new requirements for the computer that operates them. Without the right components and power, your new game can be sluggish and you may not even be able to open specific features. If you have an older computer and you want to be able to play the latest World of Warcraft or Call of Duty, you might want to think about investing in some upgrades. Some people think that a few simple tweaks to your computer will do the trick but this is not necessarily true. For example, you can try closing any other programs or applications that are running (which you should do anyway), but realistically, this will only add a slight improvement to the game’s functionality. Another suggestion you might receive is to overclock your computer’s central processing unit (CPU). This is shown to help with older computers but you want to be careful when utilizing overclocking. If you are a serious PC gamer you probably already know how to increase the CPU frequency (mhz) by accessing your computer’s bios. If you are a part-time gamer, you can access your computer’s bios usually by hitting DEL, F2, F10, or F1 when you first start up the computer. This should bring up a blue screen with a long list of options for your computer’s hardware. However, it is important to keep in mind that overclocking does cause your computer to run faster, which means that it also generates more heat inside the tower. In order to avoid any damage to your hardware, you will want to make sure that you have a sufficient cooling system and you will probably need to purchase one to install on your PC. The best way to improve an old PC is by investing in some new hardware. Graphics cards, RAM upgrades, and video card drivers can provide some help, depending on the game(s) that you play and what your computer already has inside it. You might need to do some experimenting to see what does and does not work for your system. 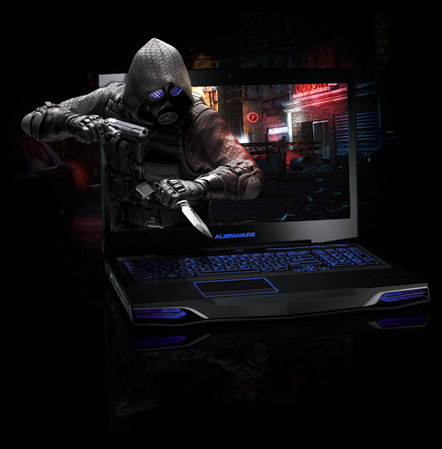 Probably the best way to ensure that your computer has the right components to support the latest games is to purchase a new and updated gaming PC. Just about any kind of new computer can be used as a gaming PC: all in one computers, mini-towers, large towers, and even some laptops. When choosing your new game PC, think about what you want to do with it. Do you just want it to sit in a stationary place or are you intending to take it to other locations in order to play with your gaming friends? This should influence the design that you choose for your PC. It is important to remember that the quality of your game playing is attributed to the hardware you use to run it. This means that you should be prepared to purchase upgraded parts for your computer or invest in a PC with the power to create the ultimate gaming experience. Brian Jensen works for Dell and has a passion for learning and writing about all things technology. Right now he is very interested in laptops click here to learn more. In his spare time he enjoys traveling, cooking and spending time with his family.